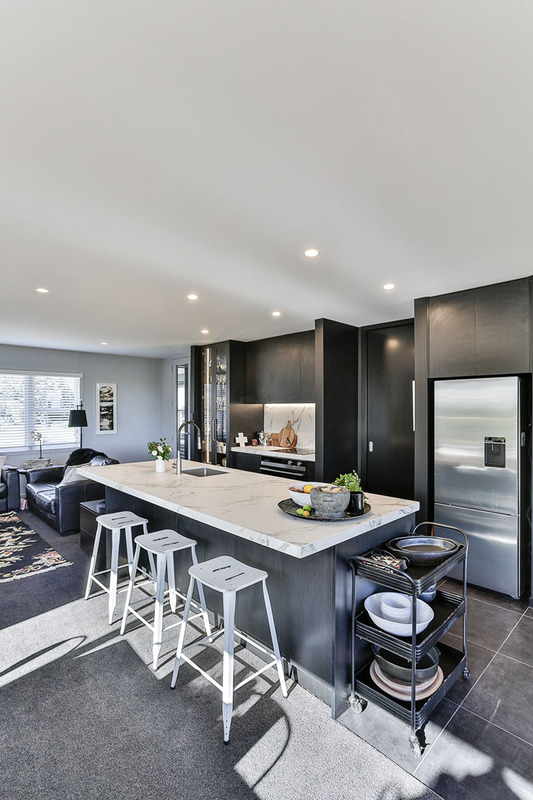 This complete renovation delivers a bold, monochromatic kitchen, softened with subtle natural touches in the details. 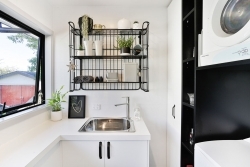 It’s a brave decision to make. 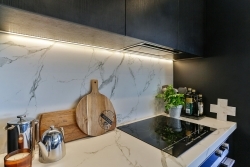 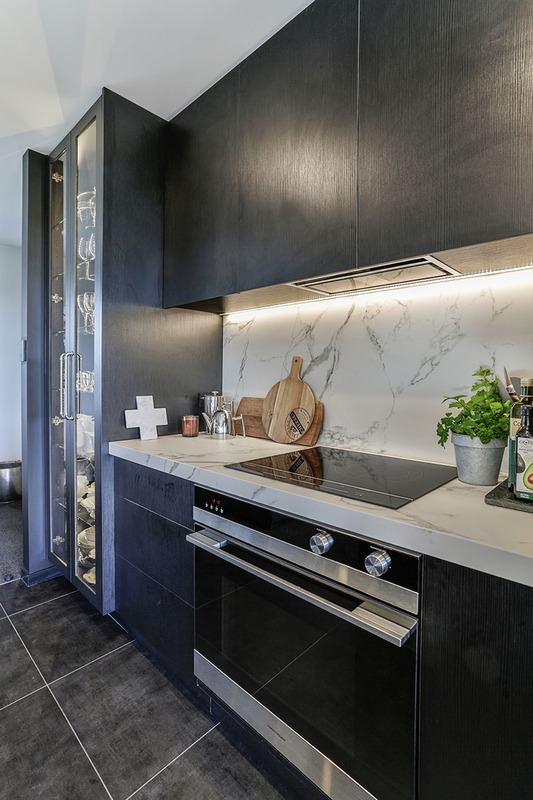 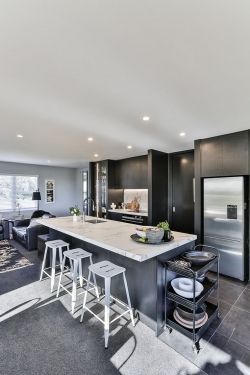 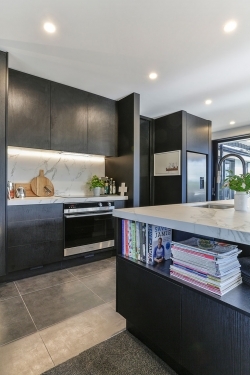 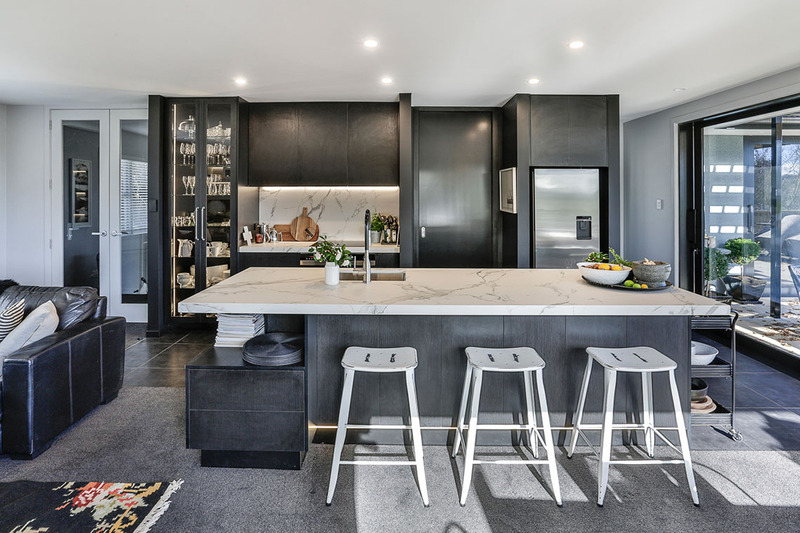 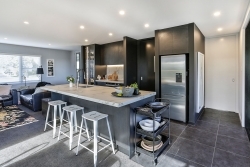 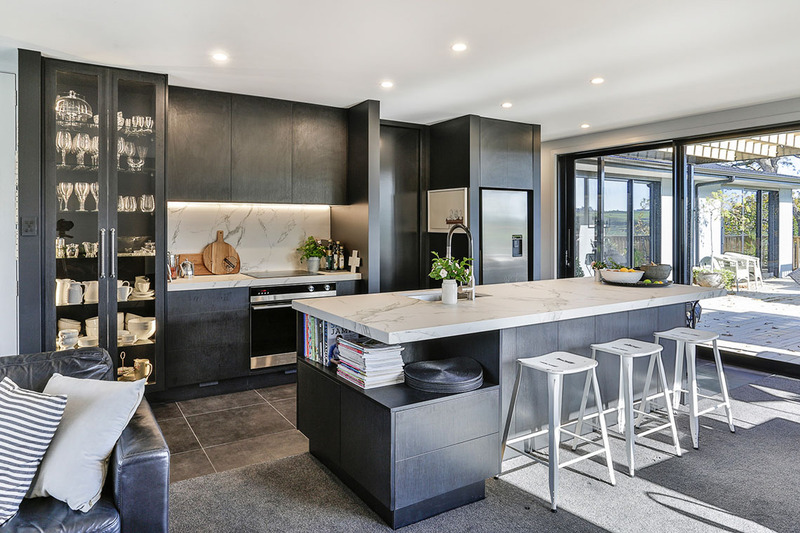 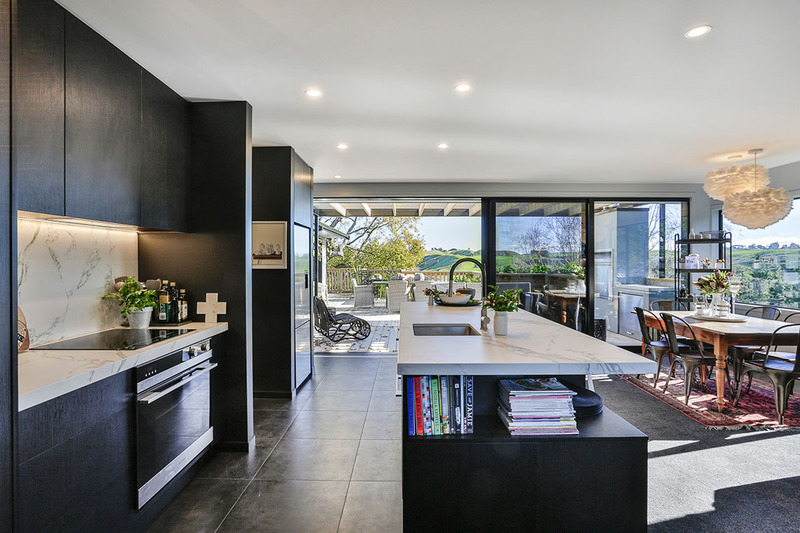 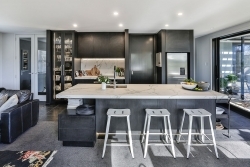 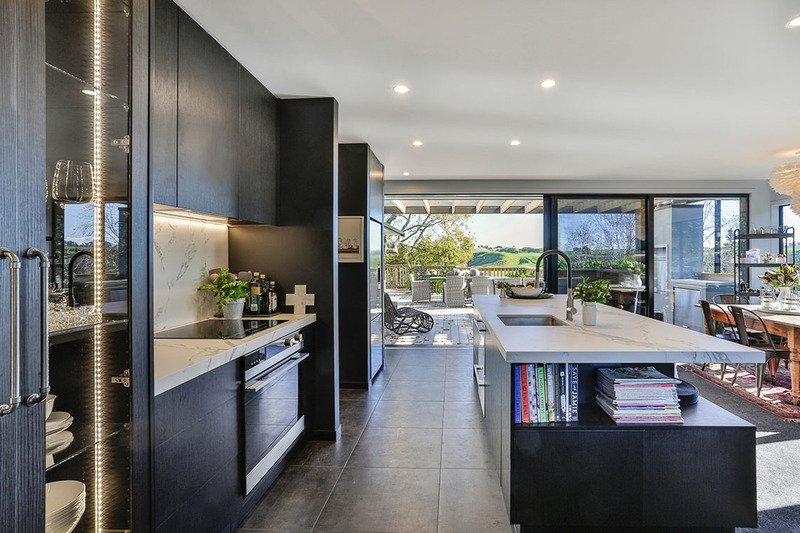 Black can be an unforgiving colour, especially for a kitchen, but homeowner Nola Todd was very clear in her vision when she engaged Michael Mancer from Mastercraft Kitchens Whanganui to design her new kitchen. 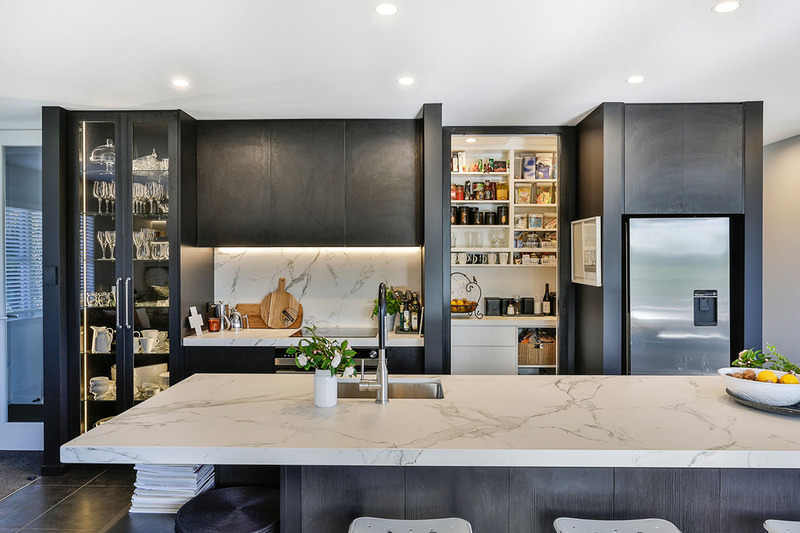 “This was the third kitchen I’d done for Nola. 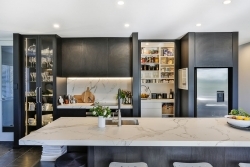 She’s a great client, but she is very particular what she wants,” says Michael. 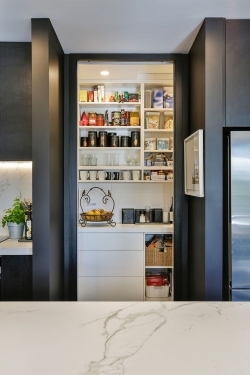 “In this case, she said from the start that she wanted a black kitchen… and definitely no handles.” Michael goes onto say that there was also a request for a large, functional kitchen island, and also a small scullery that could be closed off, away from prying eyes, plus a display cabinet to showcase glassware and crockery. 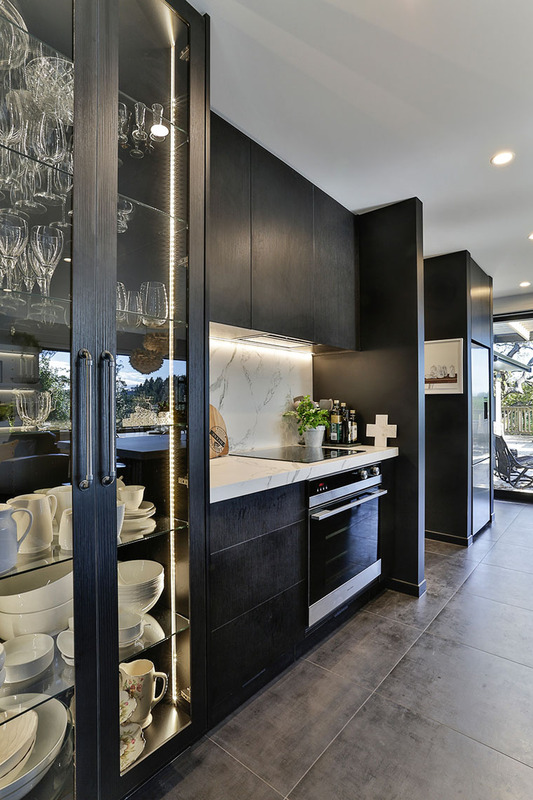 To combat the fingerprint problem, the designer opted for a woodgrain Melamine, in Black Wilderness, for all the cabinetry. 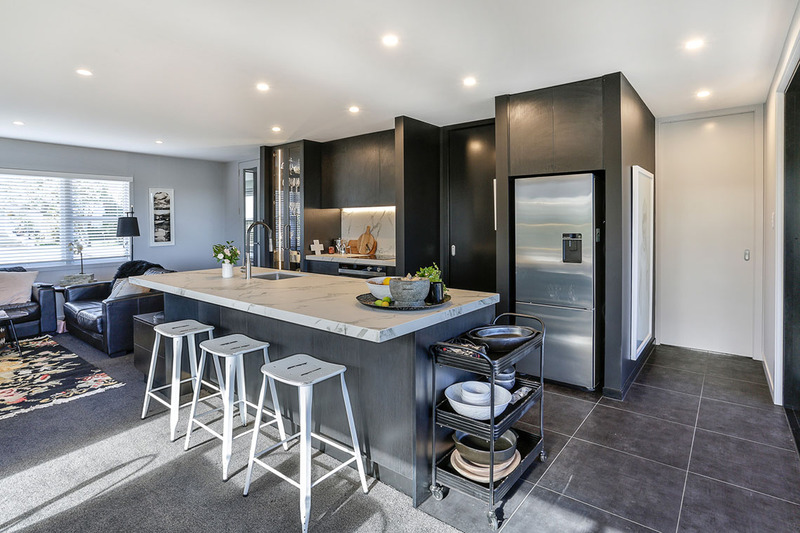 Not only did this give his client the colour and finish she requested, it also gives the completed kitchen a lot more depth and visual interest than using a plain, painted finish. The four protruding spine walls that break up the kitchen’s back wall were also painted black, in Resene Nero, to help them blend into the new colour scheme. 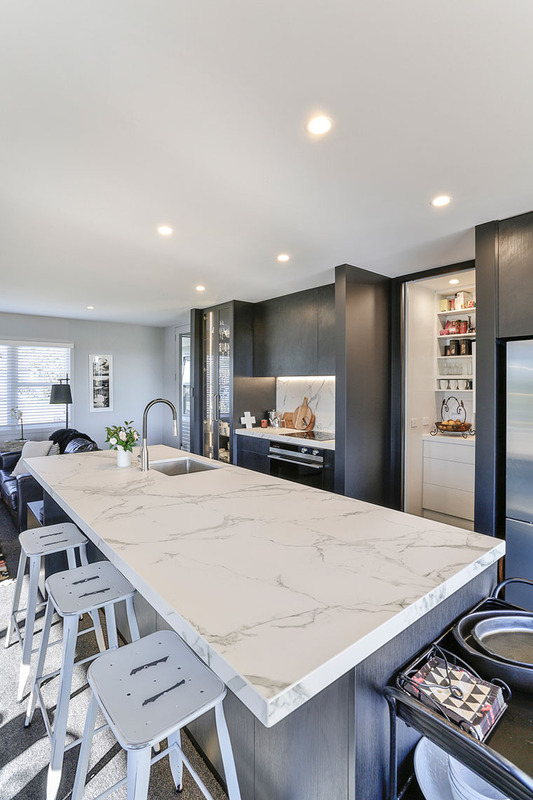 The marble-look benchtop is made from Dekton – a highly durable and impermeable material, made from compressed porcelain. The designer chose the same material for the benchtop and the splashback behind the cooktop to unify the two spaces. 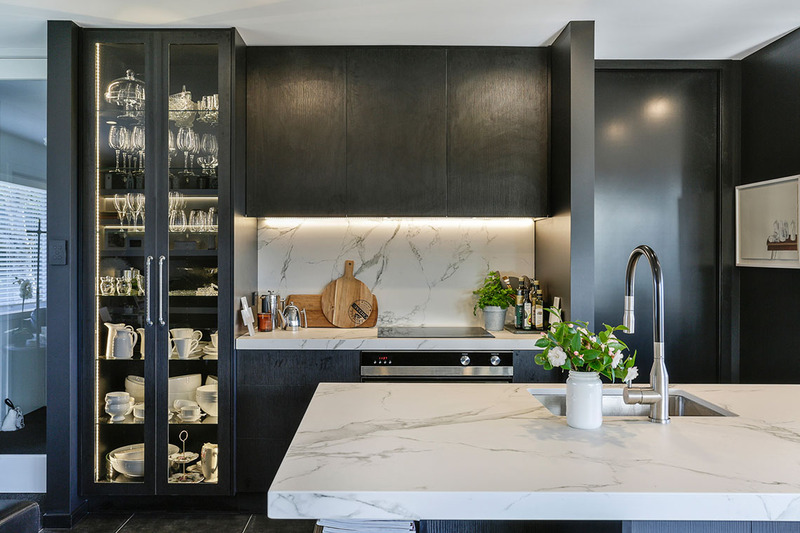 The dark veining of the ‘Aura Natural’ pattern gives a natural, organic look, and matches the black of the cabinetry perfectly. 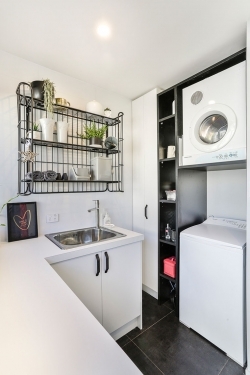 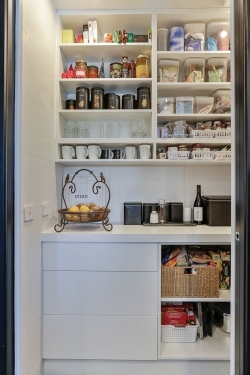 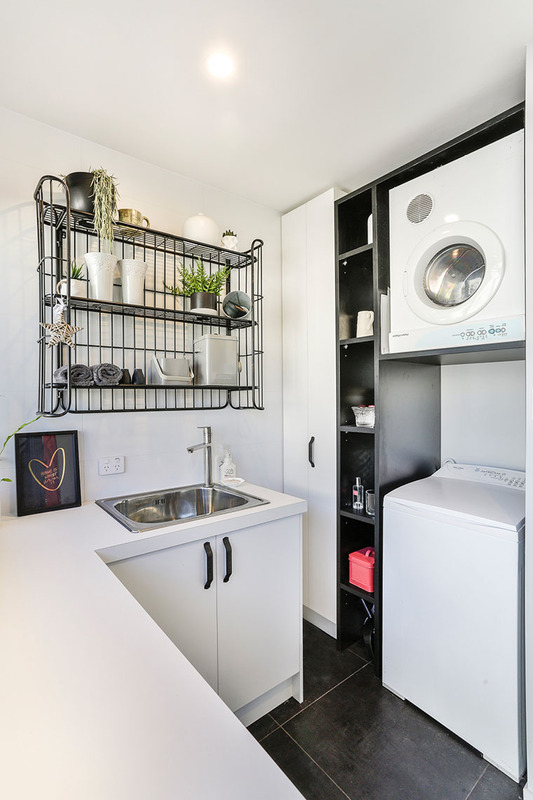 More storage can be found in the small, but thoughtfully laid out scullery located behind a space-saving sliding door next to the fridge. 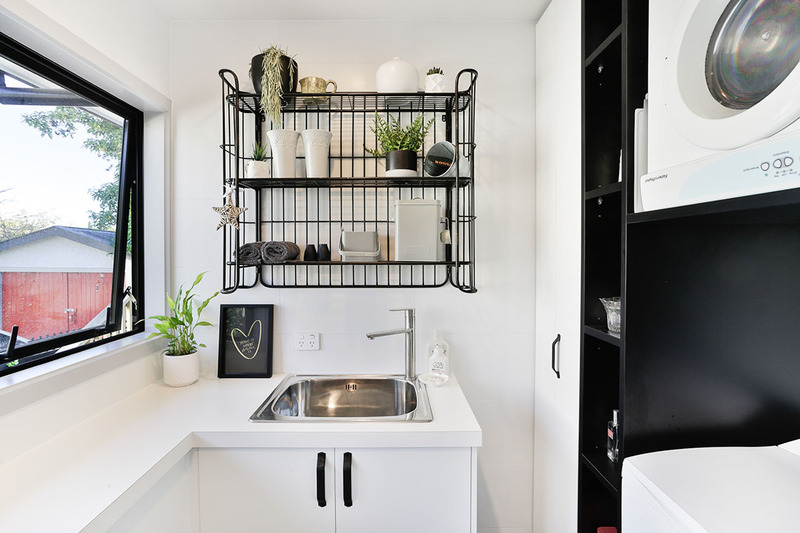 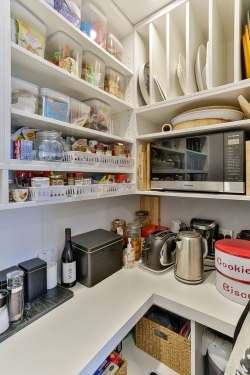 “Most of the storage in this area is open shelving, which gives easy access and is a lot cheaper than installing drawers and cupboards,” he says. Michael says that the tall, glass-fronted display cabinet on the back wall took a while for him to get his head around – specifically how it would fit in with the rest of the design. 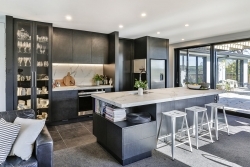 Nola says that Michael was very sympathetic and proactive to the evolving design, and she’s delighted with the result. 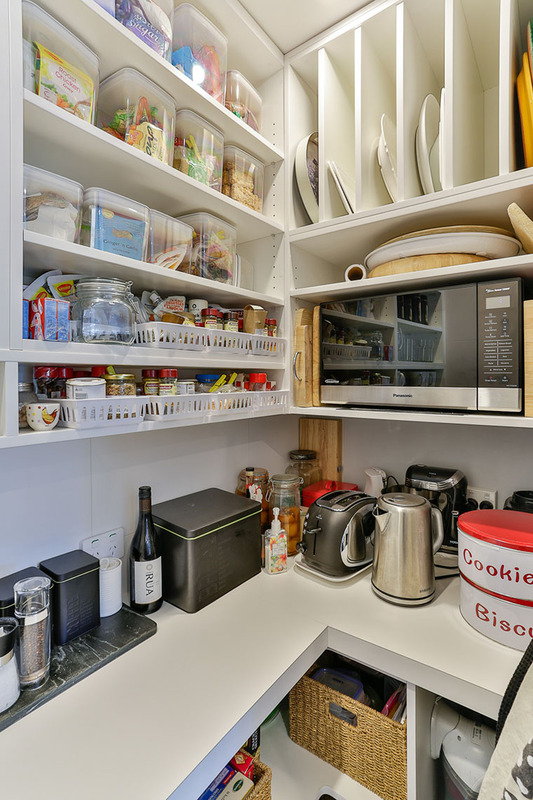 “It’s fabulous, and I love working in it,” she says. 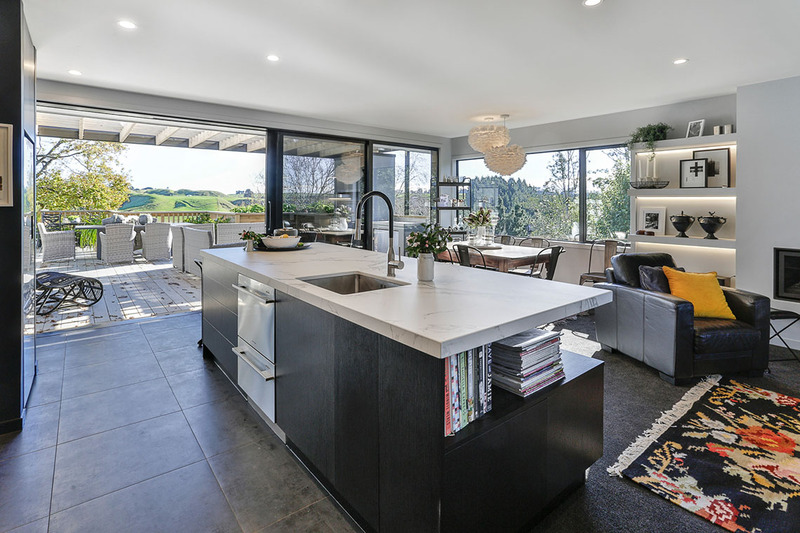 This kitchen was proudly designed, manufactured and installed locally by Mastercraft Kitchens Whanganui.